Oh the morning rush! Add to it the confusion what to eat for breakfast, or if you should even be eating it at all! With the hype of intermittent fasting, bulletproof, juicing and smoothies you wonder what is the way to go?! The answer is, it depends. It depends on your level of activity, your goals, your metabolism and also what you like to eat. One thing we know is that between 8-10AM most women should have a solid breakfast. Not a bagel and coffee and definitely not your kids leftovers. I’m talking fat and protein. Getting some fat and protein at each meal can help with blood sugar management, metabolism and weight loss. This is especially true if you have been trying out intermittent fasting. This is because fat helps keep you in fat burning mode in the morning. Having protein helps you feel fuller longer and uses up a bunch of calories to absorb and metabolize it. 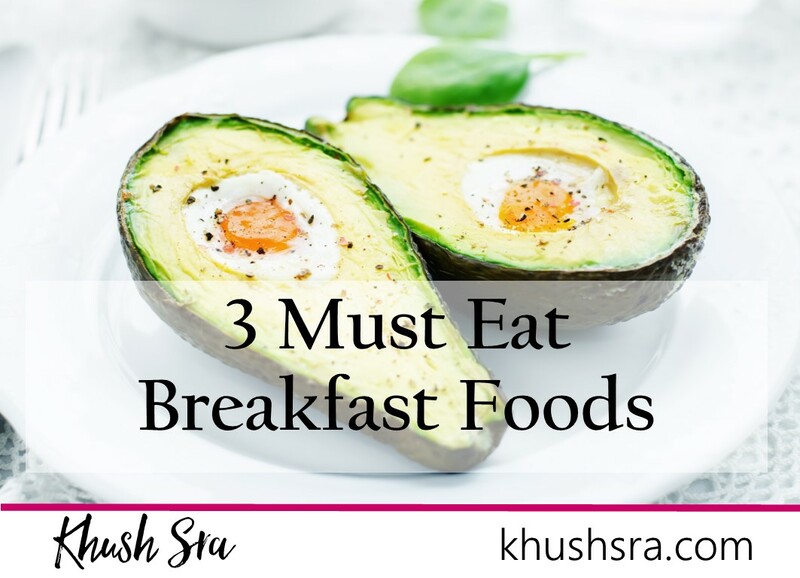 So I’m going to show you how to get the fat, protein, as well as some veggies and healthy fats for your soon-to-be favourite new “go-to” breakfasts. Shhhh!! : If your go-to is Starbucks and you want my recommendation on what to grab Email me . Allergies: Avocado is just as good and can be simply sprinkled with some sea salt and taken ‘to go’. Add a sliced avocado as your side to fill up with healthy fats that will keep you fueled for the day.